Today, the grain industry and our client, the Grain Foods Foundation (GFF), are faced with an insidious challenge. 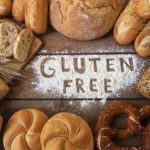 Armed with little more than anecdotal evidence and a provocative point of view, authors, experts and consumers have take aim at gluten, a protein found naturally in wheat and by extension in many of the products we consume. Fueled by the popularity of books like Wheat Belly and Grain Brain, anti-wheat/anti-gluten sentiment has grown rapidly. In fact, according to a 2013 study conducted by the NPD Group, approximately one-third of U.S. adults stated they want to cut down or eliminate gluten from their diets, despite meager evidence indicating any health benefits in doing so for the average healthy person. A consumer segmentation study revealed that consumer attitudes about health and nutrition are compiled from a number of different sources, including friends, family, bloggers, chefs, recipes and experts. Working against this consumer insight, GFF employed a bit of cultural and messaging judo to create Grains for Your Brain (GFYB), an interactive information portal delivering facts about grain foods and the beneficial role they play in the human diet through a variety of voices: clinical experts, recipes and bloggers. At the same time, a concerted media relations and social media outreach campaign works tirelessly to bring clarity and common sense to the grain and gluten conversation. The Grain Brain site has something for everyone: Grains in Your Kitchen, Grains & Your Brain, Ask an Expert, Research & Insights. Much of the site’s content is drawn from the experts who comprise the GFF Scientific Advisory Board. GFYB offers technical articles for health professionals and links to the latest research studies on grain foods and health. Paired with eight weeks’ worth of meal plans (including corresponding recipes) developed by a registered dietitian and digestible answers (delivered via video and text) to common questions on the controversies around grains, it satisfies the needs of GFF’s target audiences, including health professionals, consumers and the media. Paid media supported the earned and owned aspects of our “Grains for Your Brain” campaign. Working with BrightRoll, eHow, BlogHer and Shine allowed us to reach our audiences interested in healthy lifestyle, food and parenting. The Grain Brain site has become a go-to destination for consumers and experts eager for balanced information on grains and grain-based foods. Since its introduction in September 2013, in advance of the launch of Grain Brain, the site has generated more than 50,000 site visits, over 80 percent of which are new site visits. In terms of visibility, the Grains Brain site has garnered over 74 million impressions in both media and social spheres from September 2013 to January 2014.